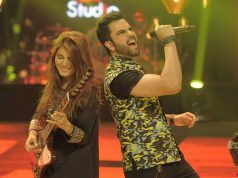 Coke studio has created a unique platform for Pakistani music – first on TV and now increasingly in the digital space– it did so by calling out to Pakistanis and giving many foreigners their first exposure to Pakistani culture. GVS spoke to IMC Manager of Coke Studio, Sadaf Zarrar to understand how the initiative started, what made Coke Studio resonate with audiences in Pakistan, and where do they see it going. GVS: Could you walk me through the creation of Coke Studio? Sadaf Zarrar: Coke studio was created about ten years ago, now it is its 11th season. Ten years ago the idea was to create Pakistani indigenous cultural platform that the youth could really be proud of. If you recall, that was the time when Pakistan was called a terrorist state. It was considered the most dangerous country in the world. Coca-Cola decided that we wanted to give young people a badge brand that they could be proud of and sort of show off, and really project a softer image of Pakistan. Because of the terrorist threats at that time, the music scene had also really died down. There were no concerts or anything. So, in a very controlled and safe environment of Coke Studio, we started creating music, with the intention of, kind of marrying the best of the music which existed and the new music that had to be explored. So obviously in the first year, the intention was to surely have a platform for a long time. With the kind of success and acceptance, we got in the first couple of seasons, Coke studio just kind of kept getting bigger and people supported the platform. And now in its 11th season, it remains as what we refer to as Sound of the Nation. GVS: Why do you think Coke Studio has struck such a chord with the nation? What do you think is the secret behind Coke Studio’s success? Sadaf Zarrar: Well, honestly, from what we understand, the secret behind Coke Studio’s success has been its inherent Pakistani DNA, so we don’t try to recreate something international and interpret it in a Pakistani sense; we kind of embody what should be the Pakistani point of view, so to speak. And what we call it internally is our largest cultural export in recent years. I don’t know If you know that or not, but it’s viewed in over 150 different countries across the globe. On YouTube alone, 3 billion minutes of Coke Studio has been streamed. So essentially, what gets it, its importance and its value are that it’s inherently Pakistani. What you see is the sound of what a modern progressive folk music would sound like, or modern progressive Pakistani poetry would sound like and so at the heart of it, it’s Pakistani essentially and that’s what makes it different from anything available in the world. GVS: Where do you see Coke Studio In a few years? Sadaf Zarrar: Coke Studio is a very interesting beast; in a sense that every time we decide or think we’ve done a lot, there’s something more to explore. Pakistan is culturally extremely rich so no matter how many years you go through, there’s always something to discover a new sound, a new instrument. So this year, for example, we started Coke Studio Explorer. Now what Coke Studio has done for many years is, to introduce new artists as well as reintroduce old existing icons of folk to a new year. This year, we really wanted to formalize that discovery, the journey of discovery that we do. Unlike other talent platforms, Coke Studio scouts for talent. So we wanted to formalize it and this year we introduced a new module, which is Coke Studio Explorer. We went into different provinces and tried to find new sounds. And we can clearly see that scaling because there are smaller capsules and sounds that can benefit from Coke Studio. We also feature the largest musicians in the country, so there’s the possibility that you can kind of get training and we’re presently evaluating those possibilities. But I think given that Coke Studio is the biggest music platform that is there right now, there’s a lot more to do in Pakistan, be it in the form of training or be it in the form of bringing new bands or be it in the form of bringing more instruments. So it’ll definitely gain scale. There’s still a lot more we need to do, and more to discover and explore. GVS: What would you say is the difference between the early stages of Coke Studio and the newer ones? Sadaf Zarrar: Of course, Coke Studio has kind of grown with its audience. So initially, when we started Coke Studio, it was catering to a much smaller audience then it does today, and back then it was much more folk-oriented and fusion oriented. We have a lot more genres right now. The lineup is much bigger; we have more diversity in sound. The audience has grown up because now we use this one platform to cater to various different tastes in music. And what you see now (which you perhaps didn’t get to see initially) is many more genres coming to life on the Coke Studio platform. And now it’s also much bolder experimentation with what we’re doing in terms of sound. So I guess that’s got to be the biggest difference between then and now. GVS: With regards to the ever-changing producers of the show, what difference has that done throughout Coke Studio’s history? Sadaf Zarrar: What we do is, initially Rohail Hayat, who was our founding father, did six seasons of Coke Studio. Then strings came on board and did four seasons. Now Zohaib and Ali Hamza are just doing their first season. The thing is that each of these producers has represented a different chapter for Coke Studio. When Rohail came in, it was very reflective of his artistic journey; we were discovering new sounds and the essence of this music, and he was moving away from commercial mainstream music. So he started coming towards coke Studio. And that’s what we really wanted to explore the organic sound of Pakistan- with Strings bigger scale, we kind of kicked off a chapter of exploring popular music as the audience was then in growing phase. And now with Zohaib and Ali Hamza, you will see more exploration, perhaps more experimentation in terms of the kind of genres; the younger people are listening to. The reason for changing producers after every few seasons is the inevitable fact that there is creativity fatigue usually producers experience. As, to produce fresh 250 plus songs to keep artists inspired, in a span of three years is a very big arc.. ‘Coke studio’ is a very intensive and creative process; while people just see it as seven weeks of seven seasons, the process is actually yearlong for every season production. So for example, the season that you would see (say) in August next year, work has already been started by now. Producers themselves are artists; these creative souls need to get out of the studio and go back into the world to seek inspiration. That is why, after a few seasons there is a need of change; not because of dissatisfaction but for the evolution. GVS: Speaking of evolution, something really great I noticed was that you guys really embraced the digital age. I mean all of your songs are available online and on streaming sites and in a way you guys kickstarted Patari and all these other streaming apps. How early did you guys figure out that you were going to use social media? Sadaf Zarrar: About three years ago, 4G LTE came into Pakistan. We saw a massive growth in digital usage. There were about 4 or 5 broadband users back then but now we are nearing about fifty million broadband users, in just a span of five years. About two years ago, we consciously decided to move it from ‘a television first platform’ to ‘a digital-first platform’. That’s primarily because Coca-Cola as a brand targets inspiring the younger generation and we realized more and more of that teenage population was getting digitally connected. We made a conscious decision to put Coke Studio there. We have a very clear picture that Coke Studio is for everyone, so we didn’t put a premium on it. Wherever music is available, Coke Studio is available; the highest quality file is available to download. In fact, we’ve even gone to the extent of forging some partnerships with telecommunications partners to make streaming free on some of the telecommunication networks. We’ve had a partnership with Telenor for two years. The intention is to just get the sound as far and wide and as easily available as possible. With a ‘consumer-first approach’, we just felt that our target audience-we were designing our music for-was digital media users, so we wanted to be digital too. GVS: Would you say the focus on traditional Pakistani music has made our Coke Studio such a hit as opposed to other Coke Studios? Sadaf Zarrar: Actually Coke Studio Pakistan was the first Coke Studio in its essence; there was a platform that existed in Brazil but it was more concert-like and wasn’t a live performance like it is in Pakistan. It started in Pakistan and it’s because of its success in Pakistan that Coke Studios opened in other countries. There’s Coke Studio India, Coke Studio Middle East, Coke Studio Africa and Coke Studio Philippines. All of them have followed Coke Studio Pakistan so we are very proud to say that it’s a Pakistani export which everyone is kind of replicating right now. Some of the Coke Studios have actually not been as successful, if I may say so, as much as Pakistan, because Pakistani Coke Studio like I mentioned is inherently grounded in the Coke Studio Pakistan. So if you go in and try to make the best song, then you’re competing with anything and everything that the young people are listening to, whether it’s the Beyoncé of the world or any other great singer. So you need to be aware of what your niche is and you need to be best at it. Coke Studio doesn’t try to be the best popular music in Pakistan; Coke Studio essentially creates the best Pakistani music there is, to offer. And that we’re possibly proud to say, that we’re the best at, right now. This is the principle; Coke Studio Morocco has a very traditional sound and Coke studio Philippines and Coke Studio Africa are doing successfully too. GVS: How much role does Coca-Cola play in Coke Studio? Sadaf Zarrar: Coke Studio is the producer of Coke Studio. From writing the brief and to funding it; to get the artists, and to almost to everything, Coca-Cola is the main company producing it. What we don’t do, however, and that’s probably a clearer answer to you, is we don’t actually meddle once the song starts. That’s the creative call; then, of course, we have our producers to take care of that and they develop the song itself. But otherwise for all practical purposes, Coca-Cola is a full hand drawn producer of Coke Studio which means everything; the brief which states where the music should go to and what artists should come in, what sound should it be and how its presented to people, that’s all Coca-Cola. GVS: What would you say is the impact of Coke Studio? Sadaf Zarrar: We are very proud to say that Coke Studio is one of the biggest cultural exports to be had in the last few years. If you ask any person abroad what Pakistani music looks like, it’s likely that they will play you a song from Coke Studio. All local artists- like Momina, QB, Jaswal Brothers and many more- have actually been promoted and amplified through Coke Studio’s platform. And boomed the music industry that feared a slow death at that time terrorism was at its heights. Coke Studio, I think provided a very safe platform for younger people to express themselves. We’ve had the Ali Zafar and the Atif Aslam of the world come here and new artists emerged from here because there were no live performances at that time. And it’s exciting that, because of Coke Studio more live performances have been happening, and more music platforms are coming up. But for a good decade, Coke Studio was the only platform that was there. GVS: What would you say are the goals for Coke Studio in the coming years and what would you want it to achieve? Sadaf Zarrar: I think if we look at the goals for Coke Studio and look at the fact that Coke Studio has more potential to give to the music industry than just a song; I think there is potential to build a learning kind of environment. I admit that there is potential to train people and there is potential to have a more meaningful role in managing artists better. So I think, when it comes to song, we’ve done reasonably well; but within the music industry there are many more avenues that Coke Studio can actively contribute in and that’s what we’re working on now.